We have provided quality automotive body repair in the Rogersville & surrounding area for over 15 years. 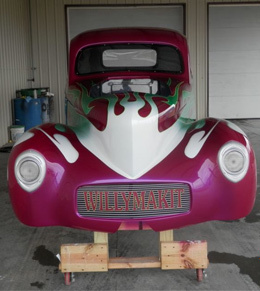 Check out our auto body shop photos and see some of the cars that we have repaired, designed & painted!!! 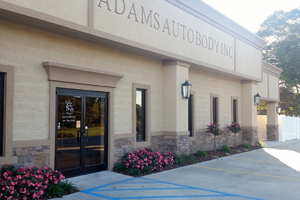 Adams Auto Body Inc. has proudly provided quality automotive body repair in the Rogersville, AL area and surrounding communities for over 15 years. We offer beverages for our customers and handicap accessible restrooms. At Adams Auto Body Inc., we are dedicated to offering complete, fast, and reliable Auto Body Repair for all makes and models in Rogersville. Here at Adams Auto Body Inc. in Rogersville your car is in great hands with our professional team of technicians that will make sure your car running in excellent condition for the years to come. So feel free to call us and ask us any questions you may have about the performance of your vehicle. Your One-Stop Source For The Auto Body Repair in Rogersville. Our trusted local technicians have years of experience on handling any Auto Body Repair service to keep you running trouble free. Located in Rogersville, Adams Auto Body Inc. use the very latest in auto body repair technology to make sure your car is returned to factory standards. No Matter what your Auto Body Repair Needs are, We can Handle Everything!